Birth of Friedrich III (the Wise) (1463-1525), Elector of Saxony, in Torgau, Germany. 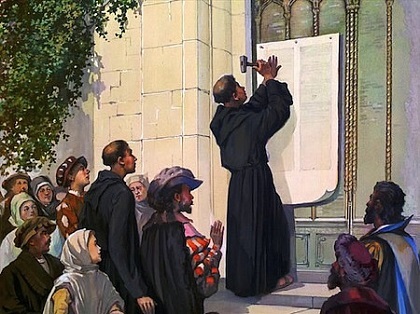 Friedrich served as the protector of Martin Luther after the imperial ban of 1521. He housed Luther at the Wartburg castle where Luther translated the Bible. 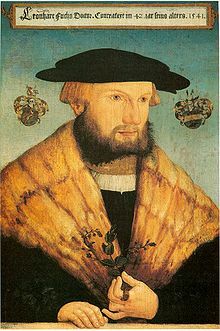 Friedrich was a patron of Albrecht Dürer and Lucas Cranach the Elder. 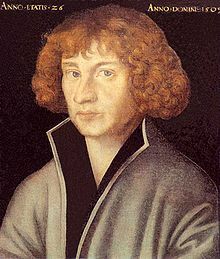 He founded the University of Wittenberg in 1502. 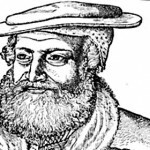 Birth of Georg Spalatin (1484-1545) (pseudonym of Georg Burkhardt) in Spalt, Germany. 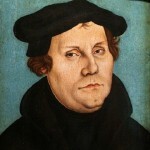 Spalatin was a close friend and collaborator of Martin Luther. 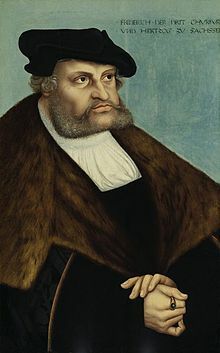 As a scholar and with influence at the court of Friedrich III (the Wise) he was able to defend and protect Luther in several critical situations. 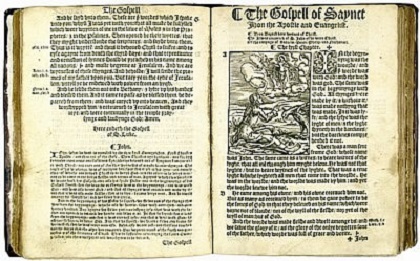 His noted book on the Reformation is Annales Reformationis. 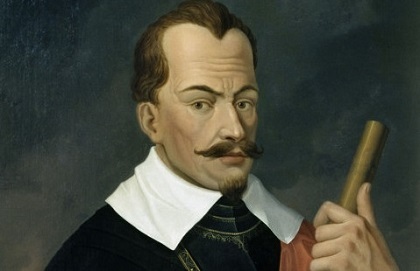 Spalatin died on January 16, 1545. Birth of Leonhart Fuchs (1501-1566) in Wemding, Germany. 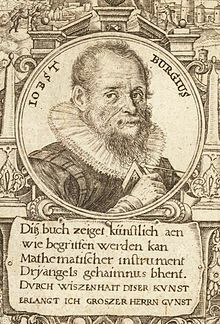 Fuchs was a professor of medicine at the University of Tübingen, whose interest in the medicinal properties of plants led him to make contributions to the field of botany through his careful descriptions and organization of information on plants. 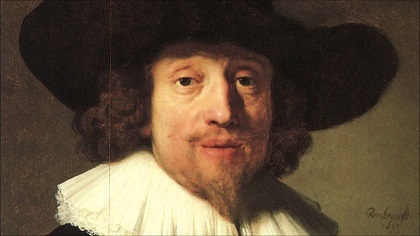 He is one of the three founding fathers of botany, along with Otto Brunfels and Hieronymus Bock. Fuchs’ name is preserved by the plant Fuchsia, discovered in the Dominican Republic in the Caribbean in 1696/97 by the French scientist Dom Charles Plumier, who published the first description of “Fuchsia triphylla, flore coccineo” in 1703. The color fuchsia is also named for him, describing the purplish-red of the shrub’s flowers. Birth of Johann Schlegel in Meissen, Germany. The uncle of August and Friedrich Schlegel, Johann Schlegel was a dramatist and a literary critic. His Vergleichung Shakespears und Andreas Gryphius (1741) served to begin to make the German public aware of the true significance of Shakespeare. Death of Daniel Matthäus Pöppelmann in Dresden, Germany. Pöpplemann, the state architect in Dresden, is most noted for his design of the Zwinger in Dresden. The Zwinger is one of the best examples of Baroque design. His Elbe Bridge is one of the most attractive bridges in Europe. Birth of Eilhardt Mitscherlich (1794-1863) in Neuende, Germany. A professor of chemistry at the University of Berlin, Mitscherlich discovered selenic acid, the monoclinic crystal form of sulfur and was the first to synthesize nitrobenzene. 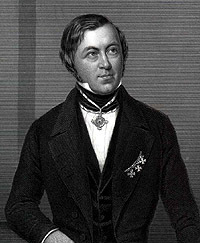 He is perhaps best remembered today for his law of isomorphism (1819), which states that compounds crystallizing together probably have similar structures and compositions. This relationship was used by Berzelius in early attempts to assign relative masses to the elements. Birth of Ludwig Windthorst in Kaldenhof, Germany. Windhorst was one of the founders of the Catholic Center Party. As leader of the party he led the struggle against Bismarck’s “Kulturkampf”. Birth of August Weismann (1834-1914) in Frankfurt am Main, Germany. 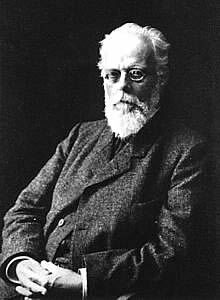 Weismann was a professor of medicine at the University of Freiburg. 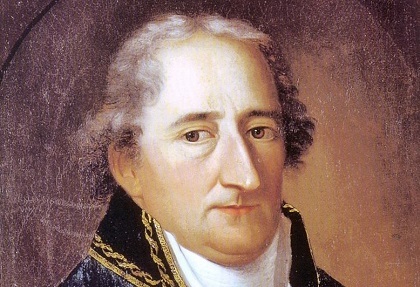 He was the developer of a theory of cellular germ plasm, from which the modern understanding of DNA develops. Death of Salomon Sulzer in Vienna, Austria. Sulzer was a Jewish cantor who was called to Vienna in 1825 as the chief cantor. There he undertook the revision of the liturgy. He gained the appellation “the father of modern synagogue music”. Birth of Ignatz Bubis in Wroclaw (now in Poland). During WWII Bubis was forced to work in a German munitions factory. He settled in Germany after the war. He became head of the Central Council of German Jews in 1992. He was a very visible activist for Jewish rights in that position. Helmut Kohl is formally elected chancellor of united Germany by the Bundestag. He receives 378 yes votes, 257 no votes and 9 abstain.